Sunrise and sunset, two of the most magical times of day are made even grander when viewed from the mountains of Southern California. 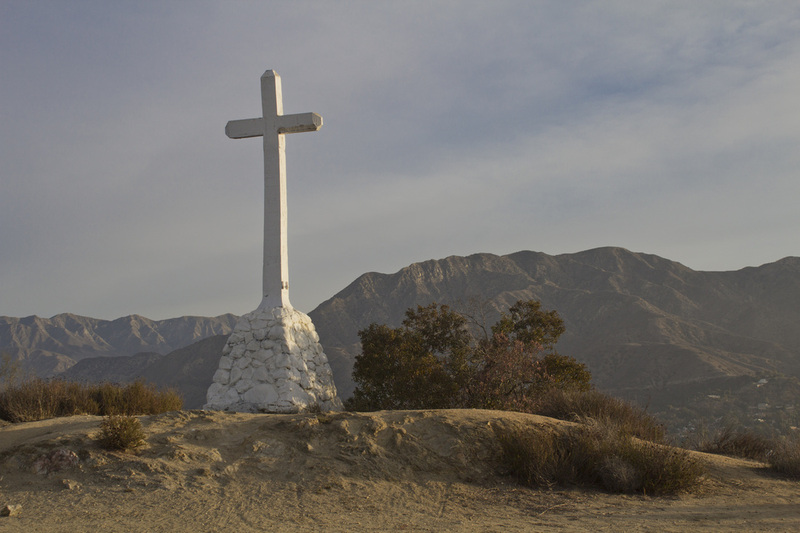 Gathered here are some of the most awe-inspiring and breath-taking sun-centered hikes to be found in the mountains surrounding Los Angeles. By necessity, these hikes are mostly of a relatively short distance due to the fact part of the trek takes place in darkness. Flashlights or headlamps are required. But whether the sun is climbing above the San Gabriels or sinking into the Pacific, you'll find the stress of your urban life fading away as you connect with something a bit more primeval, a romantic notion that the life around us is indeed greater than our own. A bottle of wine and some good cheese doesn't hurt either. And for something really romantic, check out the Sierra Clubs Moonlight hikes to Mt. 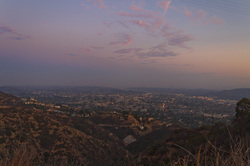 Hollywood as the full moon shines above and the evening lights of Los Angeles twinkle below. SUNRISE & SUNSET TRAILS - Click the green buttons below for hike details. 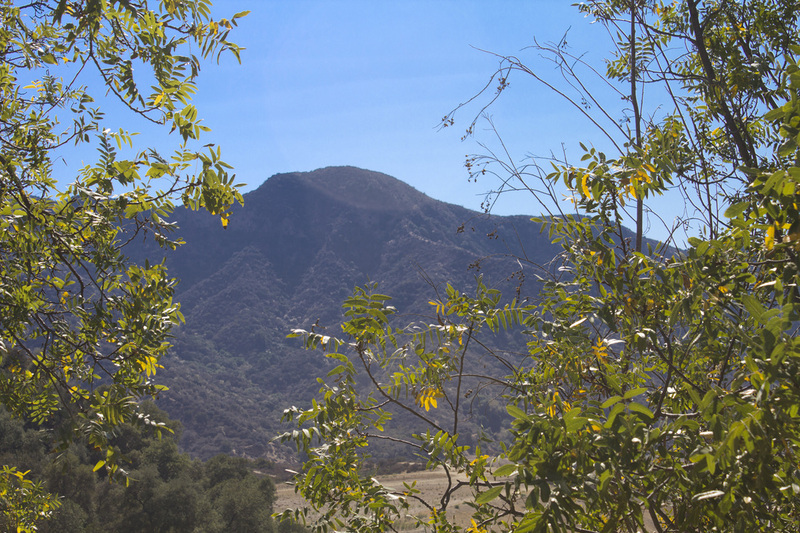 This short hike begins in the Wildwood Canyon Park amongst a thick overhanging canopy of Sycamores, Alder and Live Oak. It climbs quickly out of the canyon and the trees on the slope are replaced by the ubiquitous coastal chaparral of Southern California. 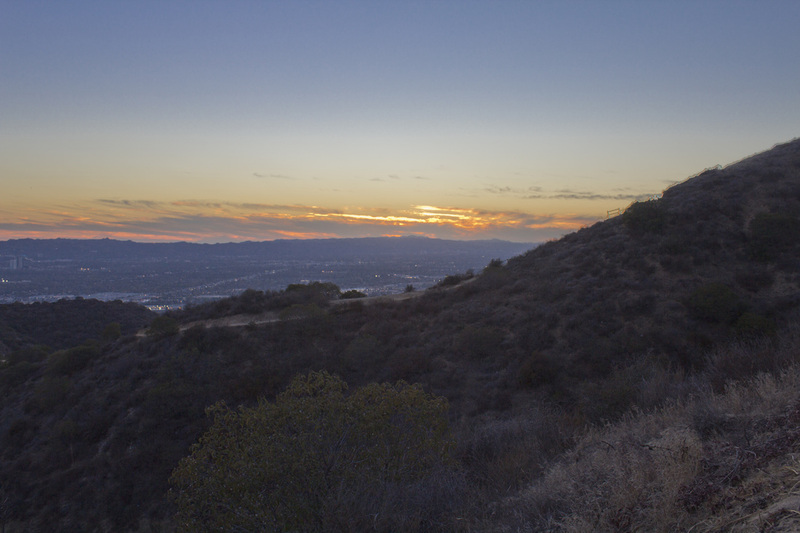 A series of steep switchbacks brings you to a transverse ridge and a lower summit where the San Fernando Valley falls away from you, stretching all the way to the Santa Monica Mountains and the setting sun. Several benches placed near the summit make a great spot for romantic couples to take in nature's twilight beauty. For romantics, there may not be a more romantic spot than the Lonesome Pine at sunset. The trail is short, but steep and begins on the paved Wonder View Drive in Hollywood. Where Wonder View Drive ends, the trail becomes a narrow, rocky single-track use path hugging the side of the mountain. 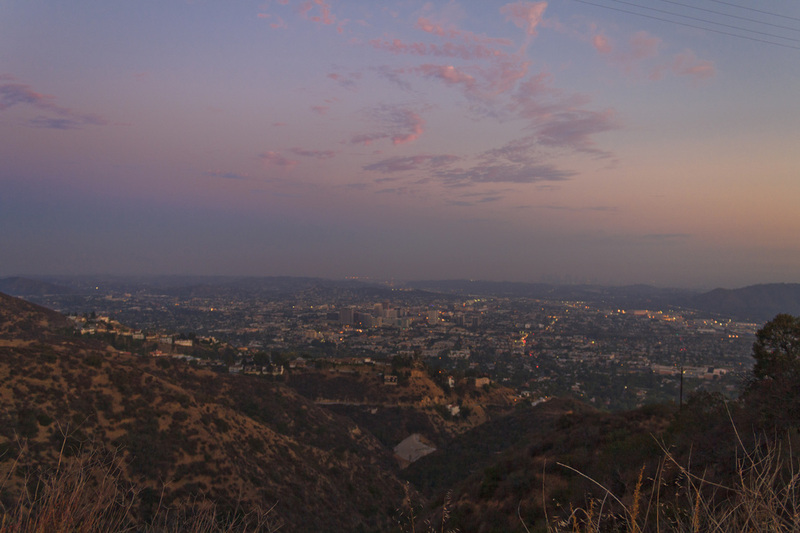 As you gain elevation, views of the Hollywood Reservoir and Downtown Los Angeles rise up to greet you. 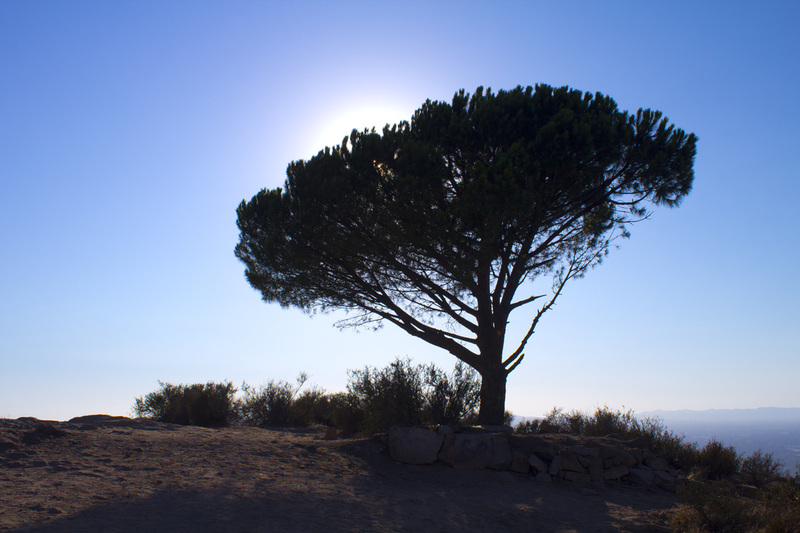 At the summit are spectacular 360° panoramic views of the Los Angeles Basin and San Fernando Valley from beneath the iconic pine situated high atop Burbank Peak. An early morning jaunt up this short, but steep trail to the summit of Griffith Park's newest and highest peak is an invigorating way to start the day. Along the way you will be greeted with views of the Pacific Ocean, the Santa Monica, Santa Susanna and Verdugo Mountains, the Hollywood Reservoir, and, from the summit, the glittering spectacle of the rising sun reflecting off the skyscrapers of downtown LA. As a bonus, you can take in both the Lonesome Pine on Burbank Peak and that famous sign that adorns nearby Mt. Lee.